Are you working on a Bitcoin project? The latest open-source Bitcoin project, Bitcore has been launched to make it easier than ever to develop apps that interact with the real Bitcoin network. 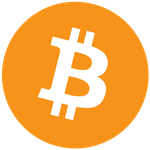 Bitcore is a complete, native interface to the Bitcoin network, providing a pure and powerful core for your Bitcoin project.